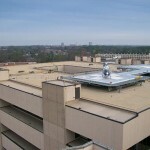 HeavyGUARD® applications include: Low-slope Protected Membrane Roofs. 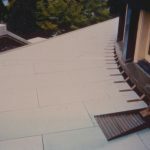 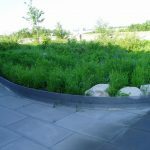 By simply reversing conventional design and placing the insulation above the membrane rather than below, the cause of many life shortening roofing problems can be eliminated. 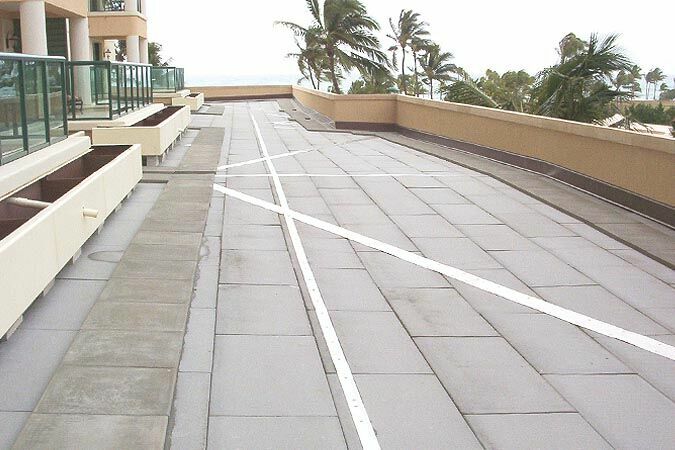 This unconventional arrangement of roofing material – roof deck, roof membrane, LightGUARD or HeavyGUARD ballasted roof insulation panels – is commonly referred to as the “upside-down” roof system or Protected Membrane Roofing (PMR) system. In all areas of the building envelope, the moisture barrier is placed on the warm side of the insulation. 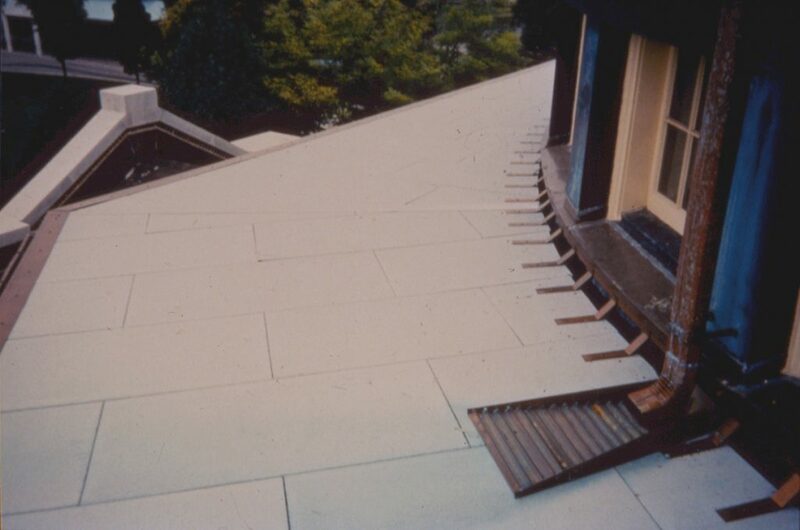 With one exception – a conventional roof system. 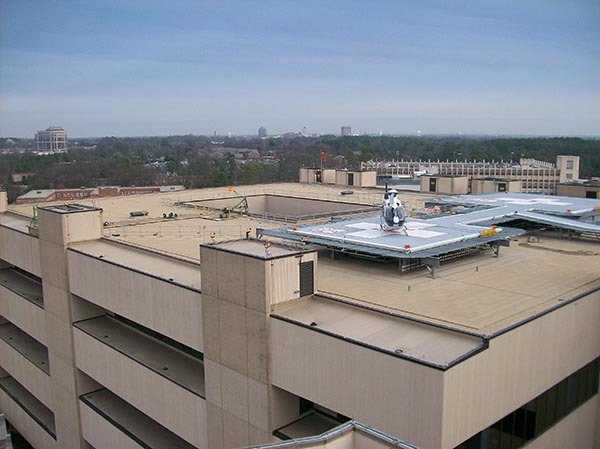 In a T. Clear PMR system the insulation is placed above the waterproof membrane to protect it from the harsh rooftop environment. 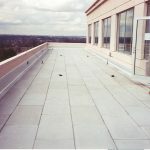 HeavyGUARD panels provide both insulation and heavyweight ballast in one easy step for Protected Membrane Roof Systems. 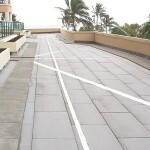 Panels are composed of 2 or 3 inches of Dow Styrofoam with a 15/16-inch latex-modified concrete topping on a 2’x4′ tongue-and-groove panel, weighing 11 lb. 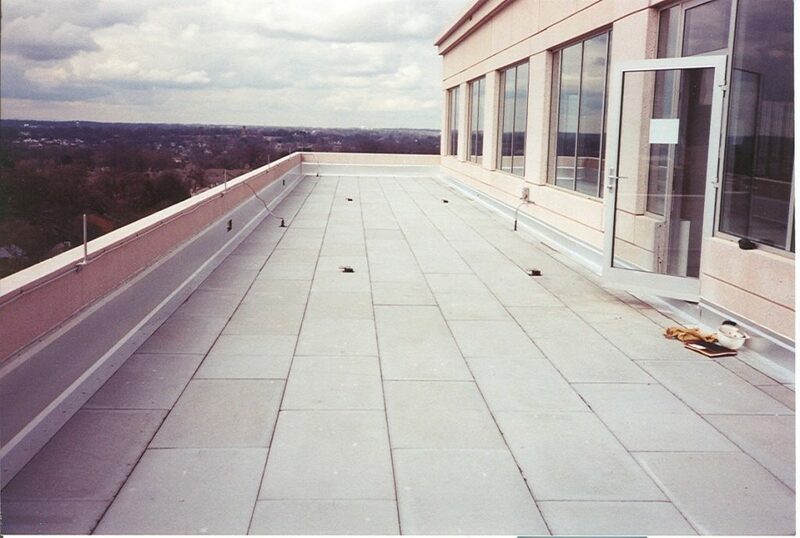 per square foot per panel. 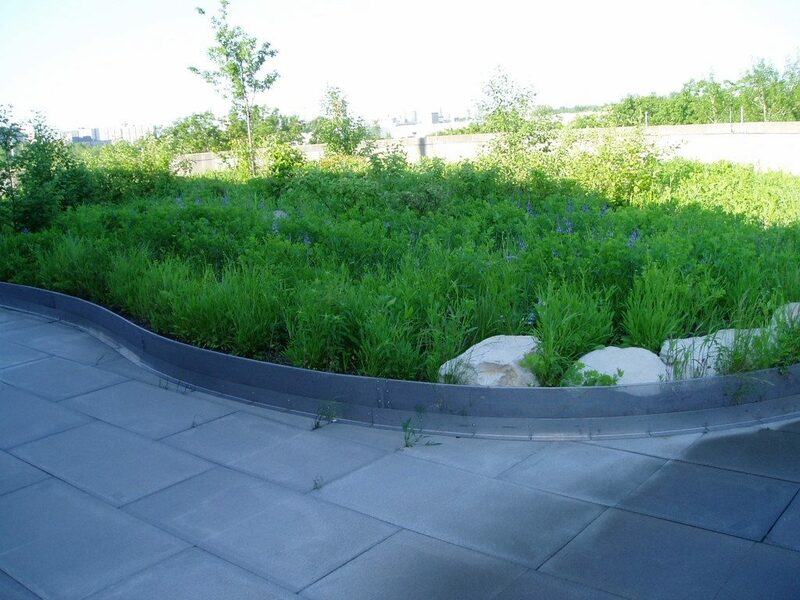 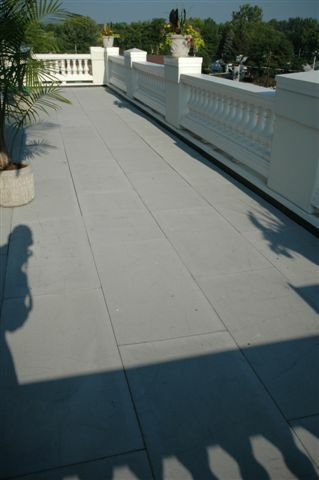 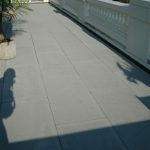 HeavyGUARD panels are perfect for rooftop gardens and light-traffic decks. 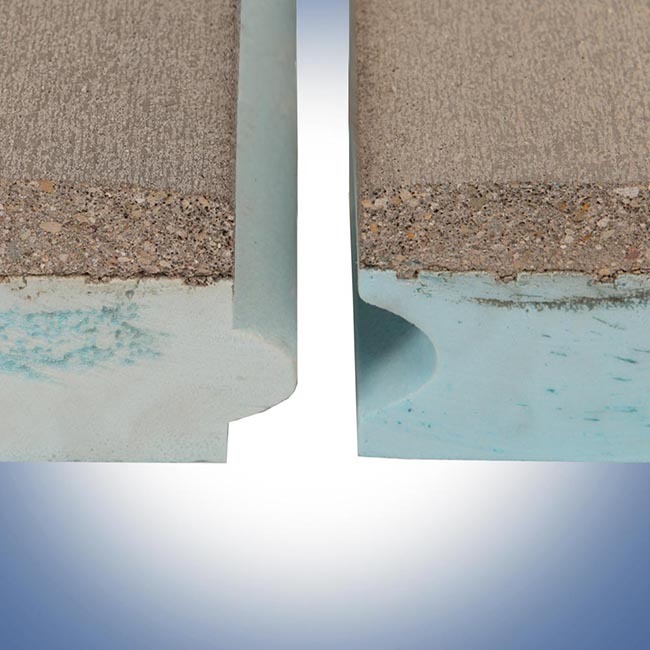 LightGUARD & HeavyGUARD PMR Insulation Panels have a full range of warranties giving you the option of choosing one that best suits your long-term plan and budget.